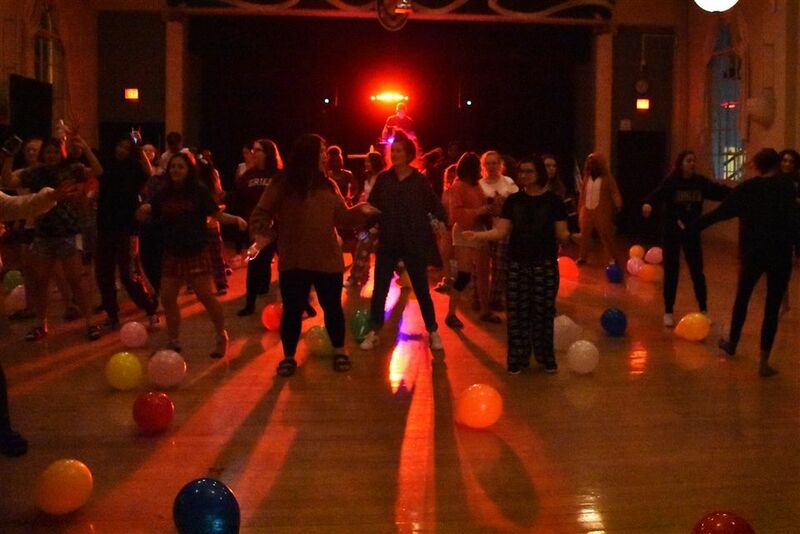 The Senior Class helped the Grier student body celebrate the end of Marking Period 6 with an all-school pajama party and a senior lock-in. 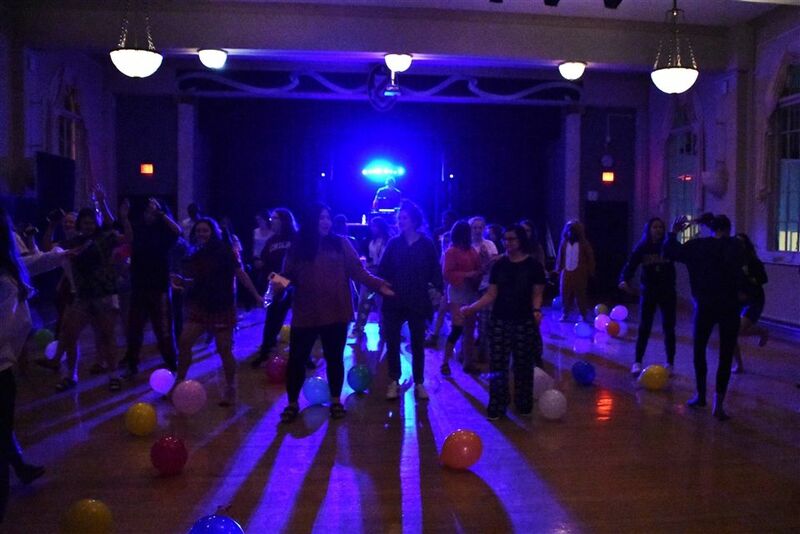 Clad in their PJs, ranging from comfy pants and t-shirts to character onesies, the students filled the dance floor of the Grier Auditorium while a DJ provided up-tempo dance beats from the stage. 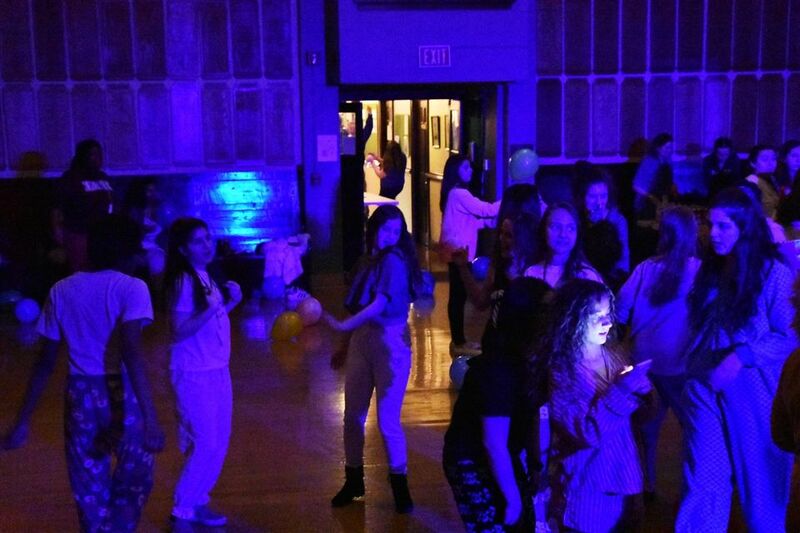 After the dance, the seniors proceeded to the gym for an exclusive lock-in party. 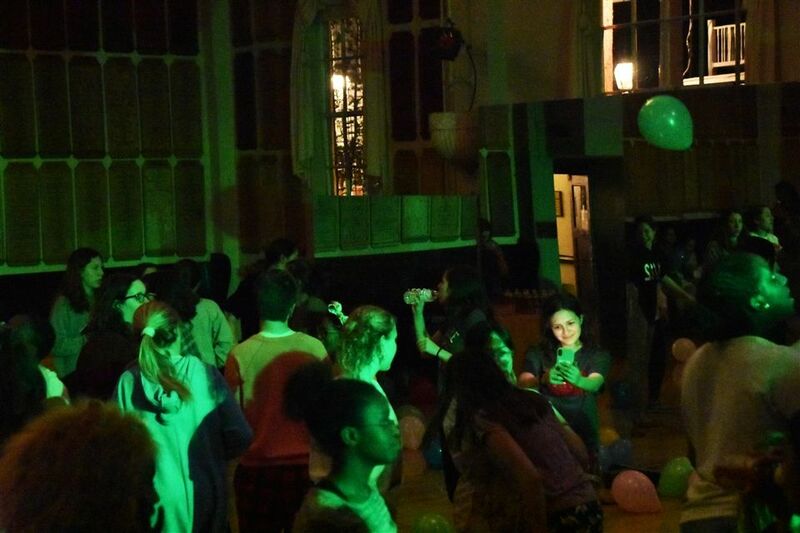 There, the seniors enjoyed snacks like pizza, chips and dip, and sweet treats. They played party games like Twister. Some students brought pillows and blankets along to make a comfy nest for late-night socializing. 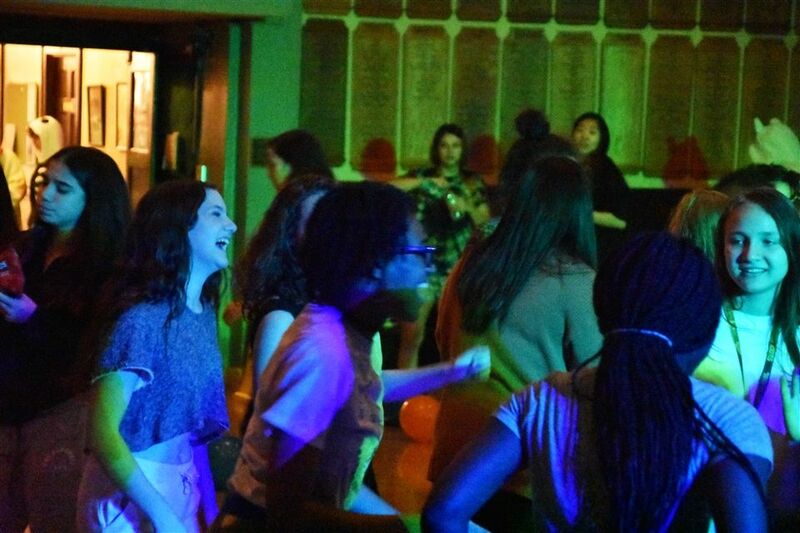 These seniors enjoyed the chance to reconnect and unwind before buckling down for the last marking period of their Grier careers. 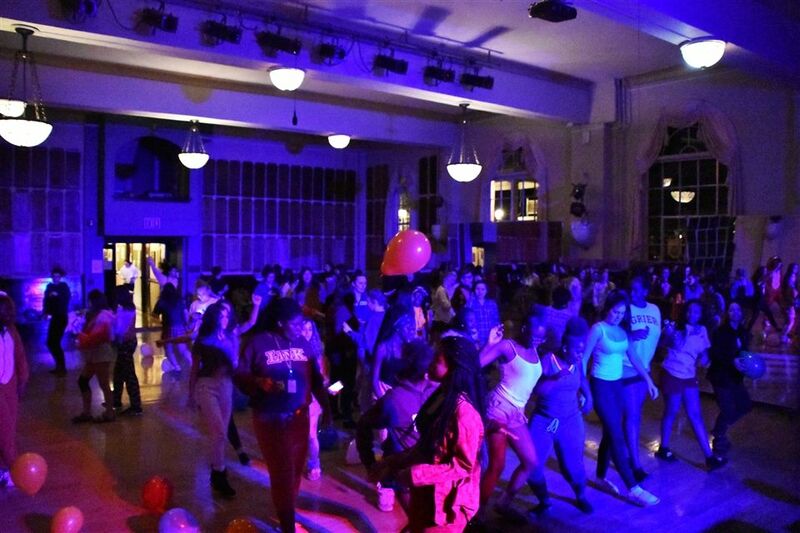 Grier wishes to thank the Senior Class for the fantastic night of dancing fun! 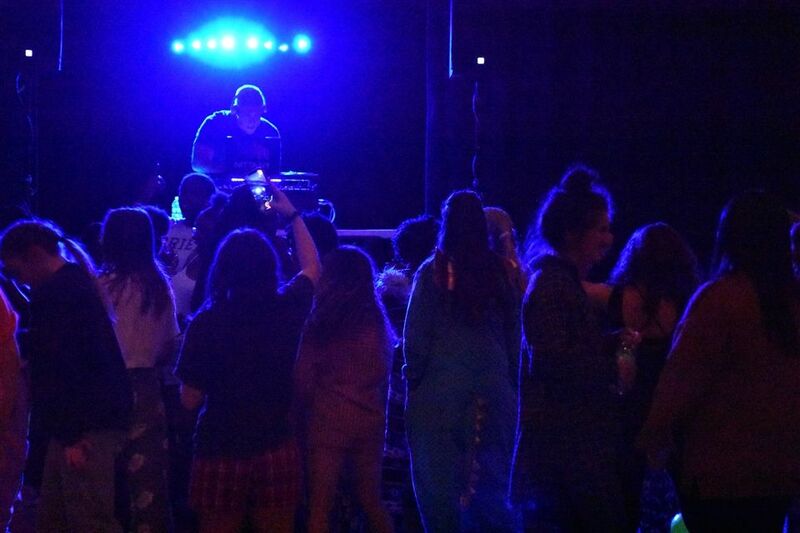 Pajama Dance Party in the Grier Auditorium.